Members of the LIFE project consortium interview the owners and workers at a family-owned and operated produce store, also in Beşiktaş. Produce stores, called manavs in Turkish, are a common fixture in Istanbul. Strolling through the streets of Fatih, it becomes clear just how many Syrians have relocated to Istanbul, Turkey. The transformed neighborhood—home to the government’s immigration office—has dozens of Syrian shops, which draw refugees looking for a taste of home and foodies eager to sample the area’s new eateries. In fact, the food industry has become a major pathway for Syrians who are looking for economic and social integration in Turkey. For this reason, CIPE and a consortium of partners recently launched the Livelihoods Innovation through Food Entrepreneurship (LIFE) project. The two-year project will establish two self-sustaining food business incubators in Istanbul and Mersin, geared towards Turkish and Syrian communities alike. The incubators, which will support more than 200 entrepreneurs and 1,000 workers in the food industry over the course of the project, will provide technical support to entrepreneurs, business formalization and mentorship services, as well as foster cultural exchange and understanding. A member of the LIFE project consortium interviews the owners of a small gözleme shop in the Beşiktaş neighborhood of Istanbul. Gözleme is a traditional Turkish pastry. Since the outbreak of the conflict in Syria in 2011, Turkey has received 3.2 million Syrian refugees. Of those, 90 percent live outside of refugee camps, most of them in cities. The Turkish government has invested significantly to address the influx, spending approximately $30 billion over the past six years. This effort has included creating programs to support the integration of Syrians into Turkish society, including initiatives to help Syrians looking to open restaurants and other businesses. Even still, the refugee influx has strained government resources and services. In creating more competition for employment, the influx has also affected host communities, contributing to tensions between Turkish, Syrian, and other refugee groups. These tensions are especially pronounced in the informal sector, businesses that are not registered with the government. The informal sector, which makes up 34 percent of the Turkish economy, is where most Syrians find employment because there are fewer barriers to entry than in the formal sector. For displaced Syrians, food offers not only an opportunity for employment, due to the large informal sector, but also a connection to home and community. Likewise, sharing a meal offers a distinct opportunity for cultural exchange and understanding. From a practical perspective, many Syrian refugees may welcome familiar food options. Meanwhile, Turkey’s growing urban populations provide a market for new restaurants. 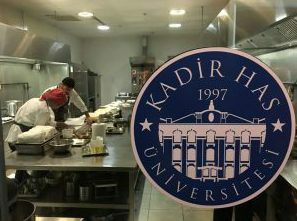 Students review a recipe at the Kadir Has University Chef School in Istanbul. The LIFE project consortium is collaborating with Turkish universities to design contextually-appropriate support services for the incubators. The LIFE project was officially launched in September by CIPE and a consortium that includes International Development Management (Idema), the William Davidson Institute (WDI) at the University of Michigan, the Stimson Center, and Union Kitchen. The launch included events in Washington, D.C. and Istanbul. In Washington, the consortium hosted two panels of experts who discussed the role of entrepreneurship in refugee integration and gastrodiplomacy as a tool to build cultural understanding. The partners then attended Rutgers University’s Food Business Incubation Conference, called FoodBIN for short, to explore different incubator models and get inspiration for the future LIFE incubators. 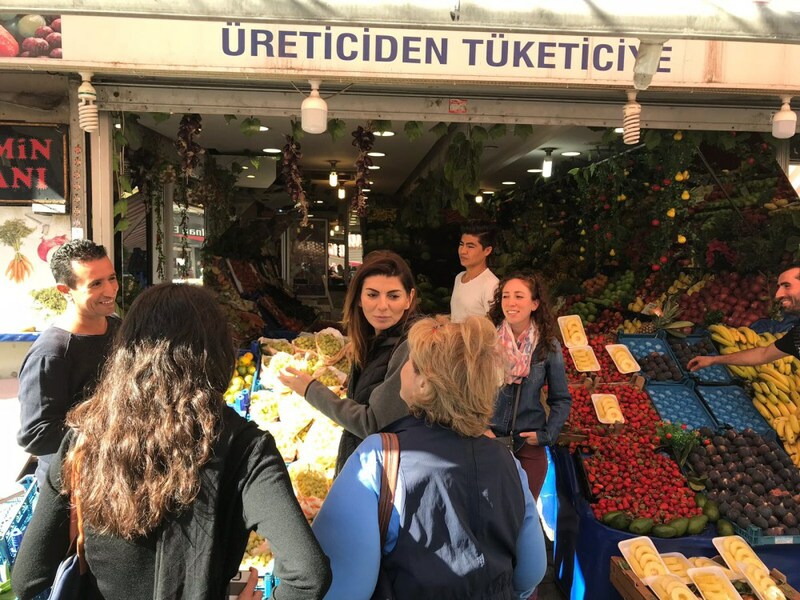 In Turkey, the consortium held roundtables with business owners and workers to identify needs, areas for growth, and scouted potential sites for the incubators. Idema used the information to select two incubator sites, which will be transformed into kitchens and co-working spaces in the coming months. Next steps include reaching out to possible participants in person and via social media. Stay tuned for more updates ahead of the incubator openings in January 2018. Funding for the LIFE project in Turkey provided by the United States Government. Emma Myers is a Program Assistant for the Middle East and North Africa team at the Center for International Private Enterprise.